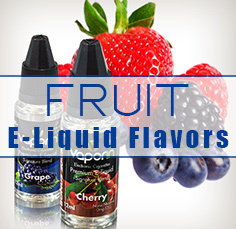 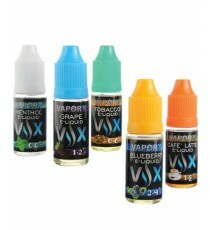 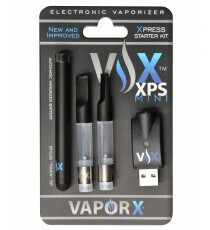 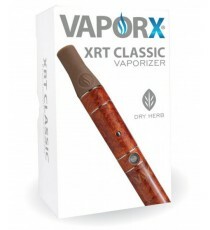 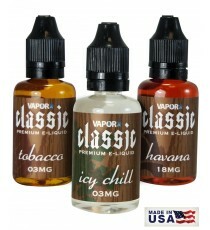 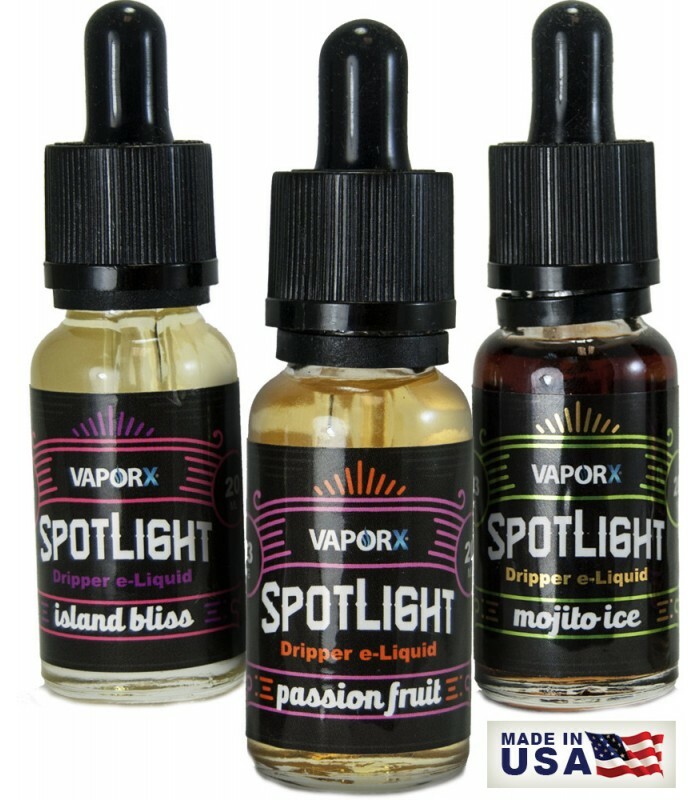 VaporX’s® Spotlight eJuice series - the best choice for your Yummy vaping needs. 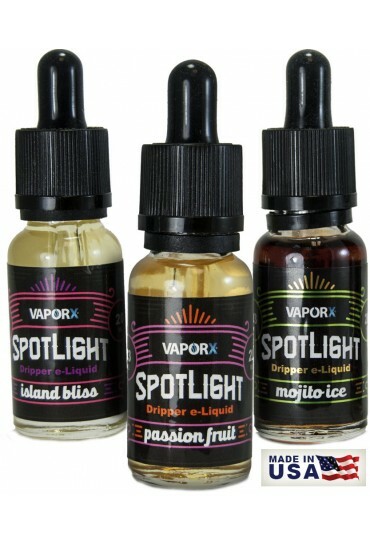 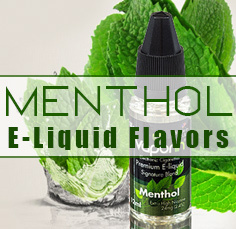 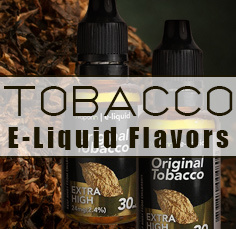 With 10 amazing and original mouth-watering flavors, VaporX® Spotlight Collection E-Liquids can be vaped as is, or mixed to create your own exotic and customized flavors. 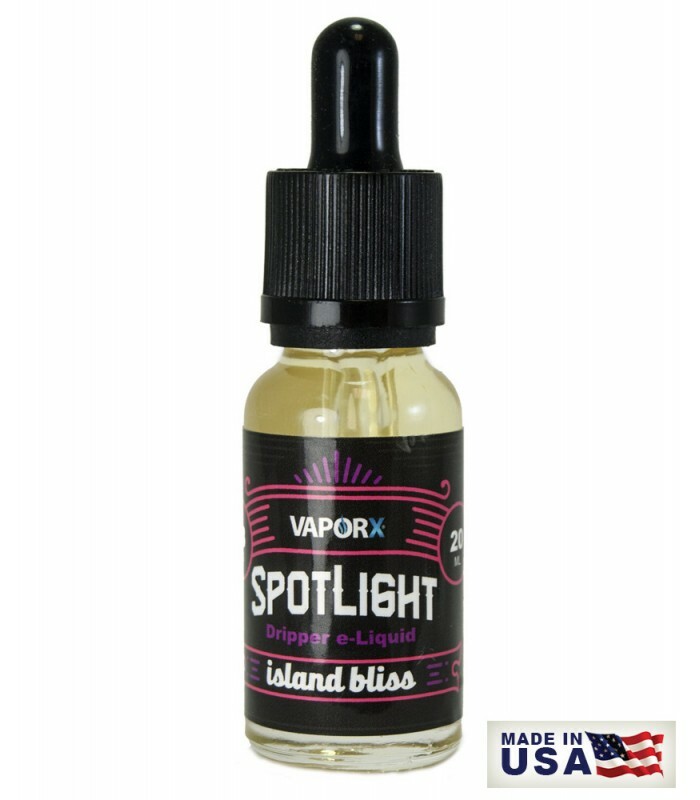 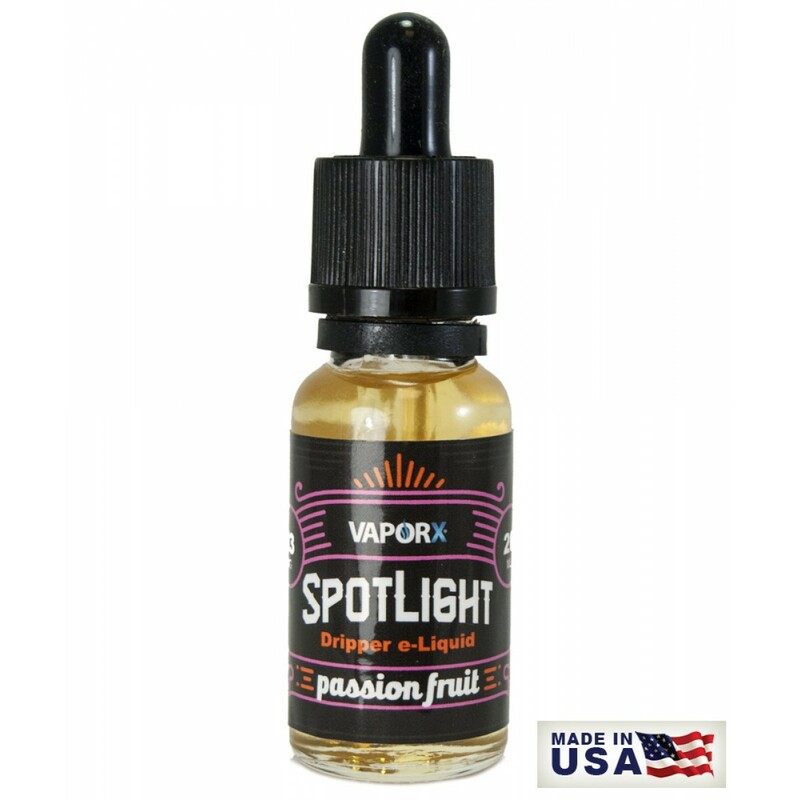 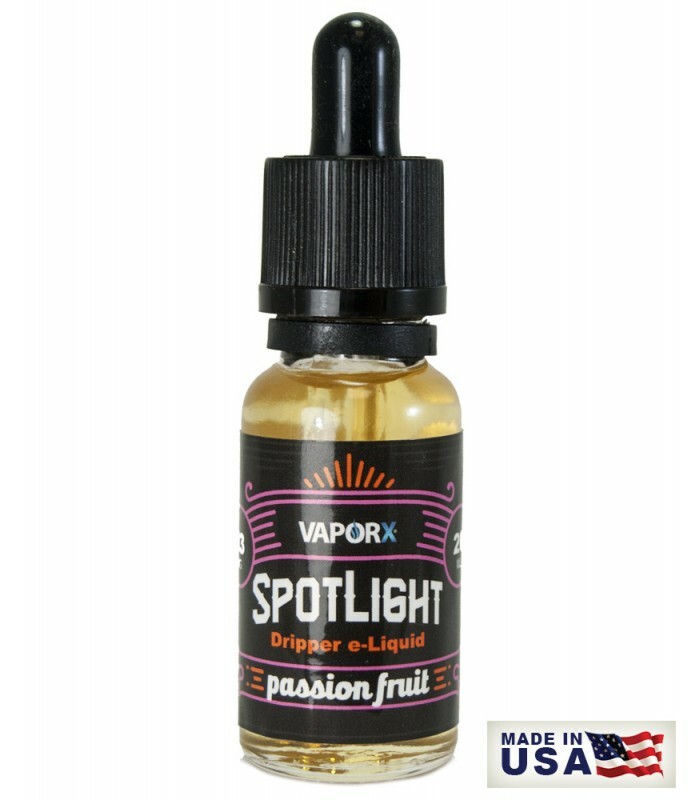 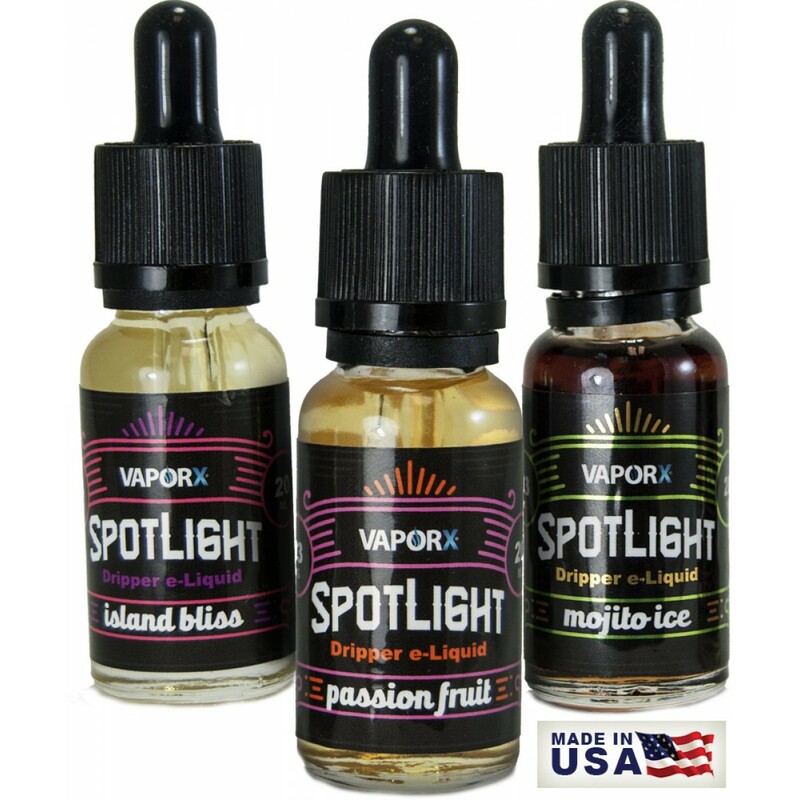 'Spotlight' E-Liquid is made entirely in the USA.